Comm Eye Health Vol. 12 No. 31 1999 pp 44 - 45. Published online 01 September 1999. Apart from cataract, trachoma and onchocerciasis, which are specific diseases, the Global Initiative has also targeted childhood blindness – blindness from any cause occurring in a person aged 15 or less. Why is this relatively uncommon problem such a high priority? Childhood blindness is the second largest cause of blind-person years, following cataract. Globally, about 70 million blind person years are caused by childhood blindness. There are about 1.5 million blind children worldwide, and this number appears to be growing. Approximately 500,000 children become blind every year – one every minute – and about half of them die within one or two years of becoming blind. Approximately one third of the total economic cost of blindness is thought to be due to childhood blindness. A child’s eye is not merely a smaller version of an adult eye, and childhood blindness is different compared with adult blindness. Strategies that are effective against adult blindness need to be modified to combat childhood blindness. Children are the most precious resource of families in developing countries. A blind child is a tragedy for these families. A child whose blindness could have been prevented or cured is an even greater disaster. 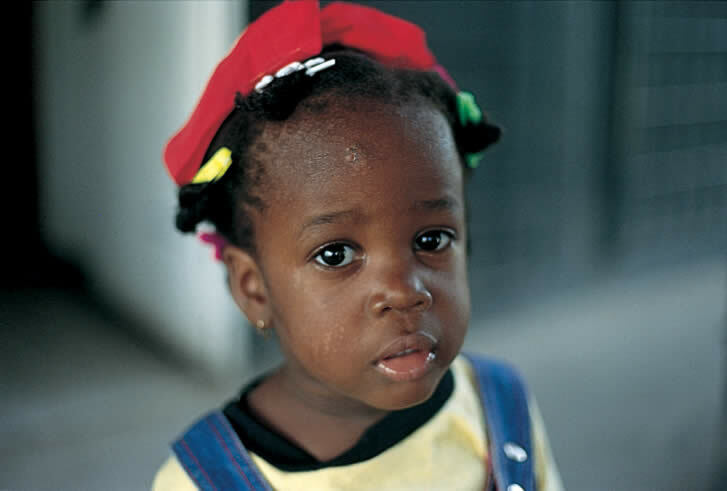 Approximately 40% of childhood blindness is avoidable. The different causes of avoidable blindness in children vary with geographical location, and with time. For example, the avoidable causes of childhood blindness in western Europe are very different to the avoidable causes in sub-Saharan Africa. However, even in the very poor countries in Africa, improvements in nutrition and primary health care have meant that blindness from vitamin A deficiency is less common than it was 25 years ago. It must also be expected that severe economic recession, or the destruction of health care systems by war or natural disaster, could lead to the re-emergence of conditions that had previously been controlled. Great improvements have already taken place in the prevention of corneal scarring. Primary health care programmes are distributing vitamin A, and immunising against measles. Traditional healers have been trained to avoid harmful practices. The greater availability of primary eye care has enabled children with corneal ulcers to be treated sooner and more effectively. owever, despite these changes thousands of children become blind from corneal scarring every year, and many of them die. Goals for 2020 may include the total elimination of measles, and vitamin A deficiency, both of which are achievable targets. Much of the work that has been done to prevent corneal scarring in children has been carried out by primary health care (PHC) programmes. PHC workers are often unaware of the great impact their services have. In future, prevention of childhood blindness should be a particular and recognised part of PHC. Some children, particularly those with corneal dystrophies such as keratoconus, may benefit from corneal transplants. The role of penetrating keratoplasty in prevention of childhood blindness is unclear, and more research is required. This remains a major cause of blindness in low- and middle-income countries. 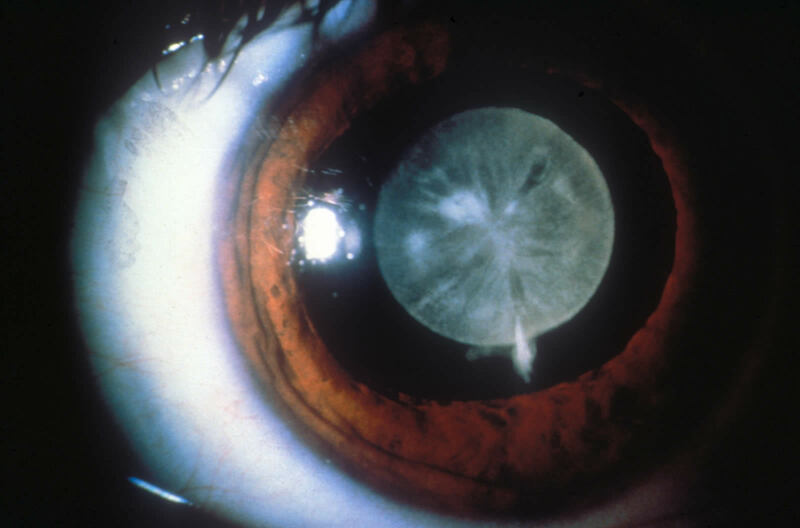 Some congenital cataract may be preventable. For example, it is estimated that 50,000 children every year are born with cataracts caused by congenital rubella syndrome, which could be prevented by a programme of rubella immunisation. Several high- and middle-income countries have set a goal of eliminating new cases of congenital rubella syndrome by the year 2000. This goal should be extended to cover the rest of the world by 2020. The results of cataract surgery in children with congenital cataract are frequently poor. The treatment and post-operative care of these patients requires special skills and experience, and expensive equipment. It is likely that outcomes would be improved if all congenital cataracts were operated on in tertiary centres – ‘children’s eye centres’. Approximately ten million people require one such centre. The centre requires at least one ophthalmologist with a special interest in childhood eye disease; and two low vision therapists, able to monitor visual acuity in young children, treat amblyopia, and manage any residual visual impairment. There is uncertainty over the best way to manage congenital cataract. The role of intraocular lenses in children under two years of age remains very controversial. Removal of the posterior capsule at the time of initial surgery is the best way of guaranteeing a clear visual axis. However, there is a need for more research to clarify these issues. 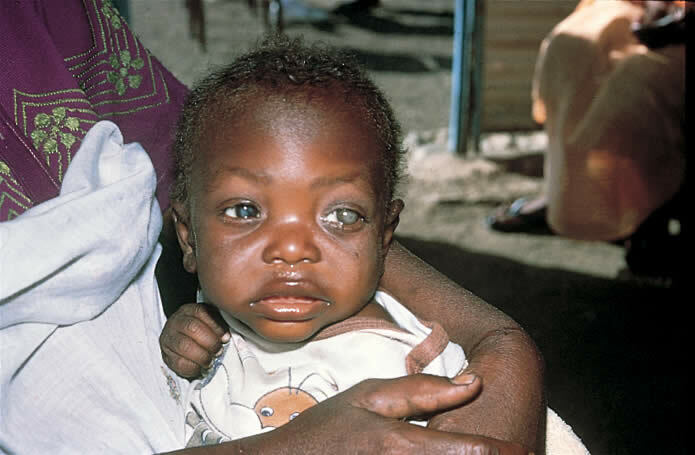 Retinopathy of prematurity (ROP) remains an important cause of blindness in children in high- and middle-income countries. In high-income countries, it is known that neonates under 1500g are at risk of ROP. In middle-income countries, the risk factors are much less clearly defined, and ROP may affect babies weighing more than 2000g at birth. ROP may be partially preventable through improved obstetric and neonatal care and a reduction in the number of premature babies. Babies at risk of ROP must be examined by a trained ophthalmologist. Those with ‘threshold’ ROP disease require peripheral retinal ablation, either with cryotherapy or laser. The treatment of these children is best carried out in specialist children’s eye centres, by appropriately trained and adequately equipped ophthalmologists. More research is needed to clarify which babies are at risk of ROP in middle-income countries, in order to develop a clear screening regimen. The goal of reducing childhood blindness by 2020 is achievable. It will require an emphasis on eliminating the causes of childhood blindness at the primary level, and the development of specialist centres for treating congenital cataract, glaucoma, and ROP at the tertiary level. To facilitate the planning of childhood blindness programmes, a Table of the estimated needs of a population of ten million people, in different situations, is shown below. Figures included in David Yorston’s article on Childhood clindness have still to be officially ratified by the World Health Organization, but we are advised by WHO that a review and compilation of data presented is underway.